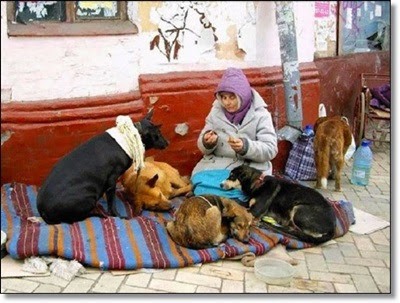 You don’t need money to be kind to animals. When I saw this picture I knew that I had to share it with the world. I am not sure where this picture was taken or who the woman is, but if you ever heard the saying that a "picture is worth a thousand words"…this is it! This heartwarming picture is a reminder that we all should be kind to animals. God bless her.